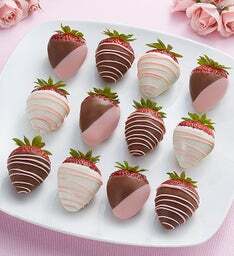 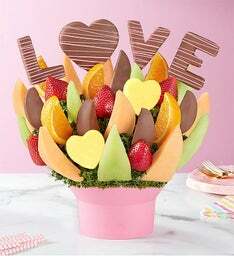 Surprise and delight her this year with sweet, unique fruit treats-dipped, drizzled, and featuring romantic shapes. 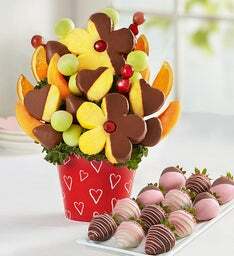 Handcrafted and heartfelt, each arrangement makes a memorable, mouthwatering Valentine's gift for her. 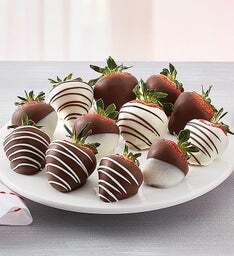 Make this Valentine’s Day one she will remember. 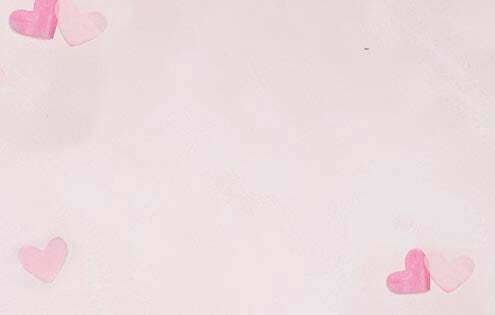 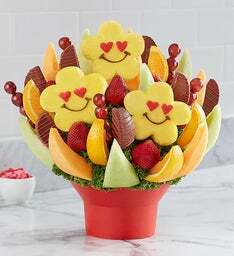 At Fruit Bouquets, our collection of delicious fruits including chocolate covered strawberries, apples, melons, grapes & more are a perfect valentine's gift for that special lady in your life. 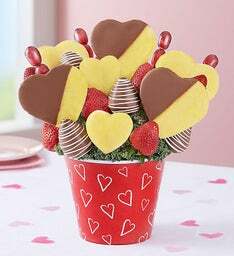 Make the day just a little sweeter with a unique valentine’s day gift composed of all her favorite treats! 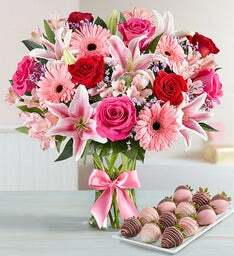 Surprise your Valentine at her office! 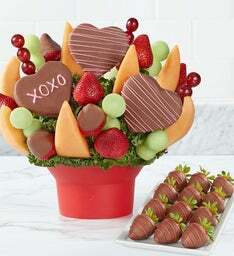 What better way to surprise your valentine than sending a delicious treat right to her workplace. 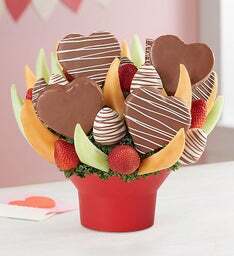 Send her a box of chocolate covered strawberries or a unique fruit bouquet that will make her co-workers jealous. 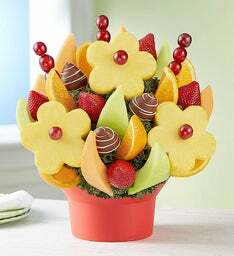 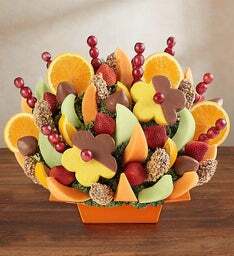 No matter where she works, sending a fruit bouquet will easily be a gift she loves!